People often describe the “digital divide” in terms of high-income individuals’ having access to cutting-edge technology that helps them thrive socially and economically, while low-income individuals are left out. The divide is often cited as a significant source of economic inequality. At a recent event at Busboys and Poets, Dr. Virginia Eubanks, author of Digital Dead End: Fighting for Social Justice in the Information Age, critiqued this diagnosis as overly simplistic. The event was co-sponsored by the Institute for Women’s Policy Research, Teaching for Change, and DC Jobs with Justice. Eubanks worked with a group of low-income women who are members of the YWCA community in Troy, NY, and asked the women what they needed. The main problem was not the digital divide. Instead, “more buses, less racism, and fairer employment” were the most popular calls for help. Eubanks expected these women to have few technological skills. Instead, she found two-thirds of them already working in high-tech jobs, such as data entry or network administration. However, these jobs were low-paying, had few benefits, and were unstable. Technology was ubiquitous in their lives, but they could not use it to improve those lives. Eubanks realized that simply providing technology and training is not enough to improve women’s lives. Rather, projects need to be designed to account for deeply ingrained racial and gender oppression. Eubanks, informed by the belief that those closest to problems can best find solutions, worked closely with the women to identify their needs. They created a community technology lab for the YWCA, staffed and sustained by residents, as well as what Eubanks called an “Angie’s List for social services providers,” where the women could provide feedback on their experiences at local assistance agencies. Even so, access to tech tools was not a high priority for the women. They were more concerned with the basic structural and cultural challenges that affected them on a daily basis—a lack of reliable transportation and workplace flexibility, coupled with racist attitudes. Eubanks emphasized that technology in itself cannot cure these problems, but it can play a positive role. “We all have a stake in the creation of a more just information age,” she said. Eubanks noted the creation of new, high-end jobs in technological development—touted by politicians including President Obama as the solution to our country’s economic woes—requires the support of more service industry positions in food service, hospitality, and retail. These lower-income jobs must be fair, provide benefits, and allow for work-life balance to meet the needs of workers. IWPR has identified other basic benefits that can drastically improve the quality of workers’ lives in the shorter term. For women and their families, guaranteed paid maternity leave (the U.S. is one of only five countries worldwide that doesn’t require employers to provide it) and paid sick days could improve health, well-being, and economic stability. Pay equity is another problem Eubanks identified. The women would often accept minimal compensation for high-tech jobs, hoping to gain the skills necessary for a higher-paid position. In a society where open discussion of salary is often taboo, these women had little opportunity to identify and express grievances, and only rarely advanced in the workplace. “Technology is not a destination, it’s another site for struggle,” said Eubanks. In making technological advancements we should consider the quality of life of the workers who perform and enable it. Technology can contribute to a more just society, as long as the privileged consciously use it as a tool to support social justice, and not a ready-made engine of social progress. 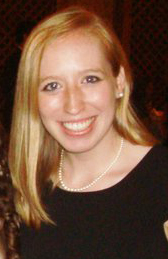 Leah Josephson is the Communications Intern at the Institute for Women’s Policy Research.